﻿Have you decided to renovate your small bathroom? If yes then the next step is to Plan, Plan, and Plan! Nevertheless, you should never underestimate a small bathroom renovation because it involves certain essential things that you should not mix i.e. plumbing and electricity. Thus, it is always recommended to hire reliable bathroom renovation contractors, as they will not only help you in maintaining your renovation budget but also will help you in getting the desired bathroom that you envisioned. When you think of renovating your bathroom, what’s the very first thing that strikes the mind? It is an IDEA! During the planning stage, it is necessary, to be honest with your bathroom renovator regarding your budget and priorities. Well, you should discuss your bathroom renovation idea with your bathroom-renovating contractor so that with his experience he can guide and help you to achieve the bathroom of your dreams at a cost-effective price point. In fact, proper planning will help you to get closer to an affordable and budget-friendly bathroom renovation. You can also prepare a list of bathroom essentials that you need in your bathroom and things that you can eliminate for maintaining your budget. The next step is to take accurate measurements of your bathroom space so that you can know the actual size of your bathroom. In fact, if you’re re-doing the plumbing or wiring work, this step will help you to know the exact location of where you want to mount the new electric and plumbing facility. Taking accurate measurements is also essential when shopping for various bathroom items because it will assist you to buy bathroom essentials of right sizes that can be installed in the intended location in your bathroom space. What can you spend for your small bathroom renovation? Each minute thing you want in your small bathroom and the estimated cost must be noted down to make an accurate budget. Circumstances can arise that can easily increase the cost factor of your anticipated budget. For surprise costs, it is recommended to set aside enough money that will aid you when there is a scarcity of funds during the bathroom renovation process. A bathroom renovation comprises of various factors such as replacing the floor, shifting the plumbing to a new location, designing the renovation layout, planning the budget, etc. which should be planned properly so that you can obtain your desired bathroom look. Well, here’s where a reliable and expert bathroom renovator comes in the picture. Be extremely careful when appointing a bathroom renovator for remodeling your small bathroom because the contractor’s expertise and skills will influence the overall bathroom design. Here’s a simple guide to small bathroom renovation that will help you to avoid costly errors and accomplish a beautiful bathroom. Indeed, it’s tricky to perform a small bathroom renovation on a budget, as there are many factors involved such as bathroom design, fitting new appliances and accessories, changing the location of current plumbing and electrical wiring, floor replacement, painting and more. 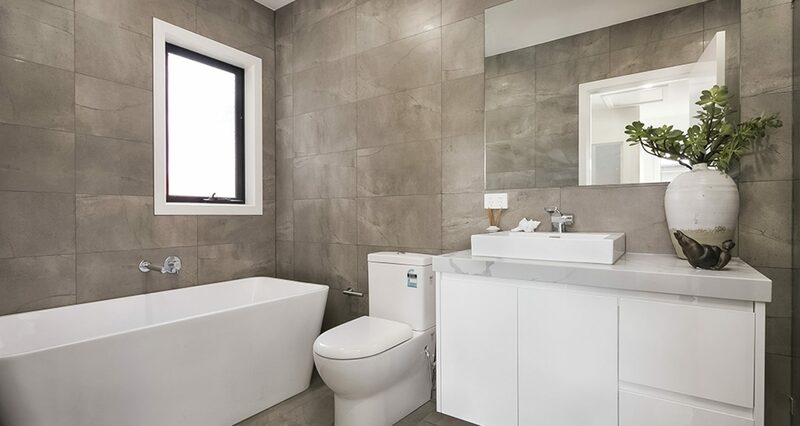 However, with proper planning and hiring a reputed bathroom renovator, you can get the best bathroom renovation in Melbourne.